IVY Members celebrated New York Fashion Week in September 2016 at The High Line Hotel in an exclusive IVY Fashion Presentation featuring Angelys Balek. The event was hosted by Miss USA 2015, Olivia Jordan, and featured a live musical performance by Kate Nauta and Chris Liggio of Lipstick Gypsy. Guests also included style influencers Chloe Norgaard, Chelsea Leyland, and Ida Dyberg. The crowd enjoyed a private presentation and reception as emerging womenswear label Angelys Balek debuted her Spring | Summer 2017 collection. An emerging design powerhouse originally from Thailand, Balek draws on global influences, gleaned from her international studies and evident in her use of lunar motifs and splashes of color. She’s been featured in Harper’s Bazaar, Elle, and Vogue, building a high-profile following of Hollywood’s leading stars. 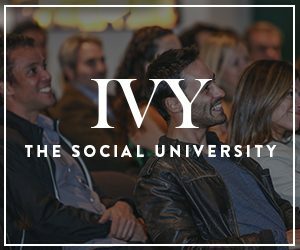 For more information, please visit IVY’s Emerging Designer Program online or consider attending an upcoming live event with IVY.